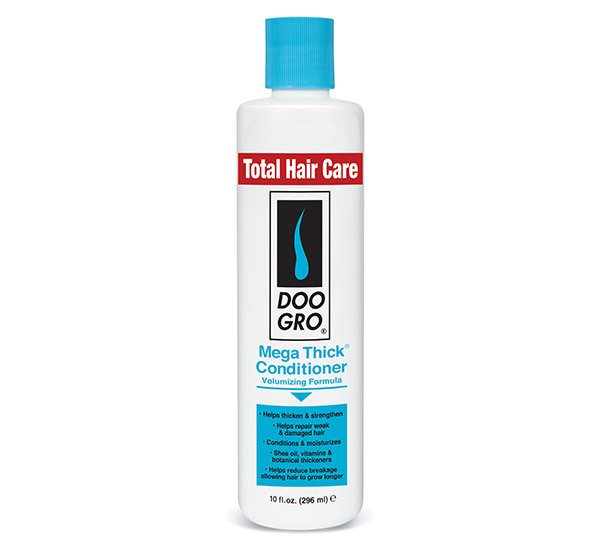 DOO GRO Mega Thick Anti-Itch Thinning Shampoo helps promote thick, strong, healthy hair. Enriched with shea butter, vitamins, oat proteins and botanical thickeners, its rich luxurious formula gently cleanses and moisturizes hair, while adding volume and thickness. Restores strength to weak, damaged hair and is safe to use on all types of hair including color treated, bleached and relaxed. After shampooing, apply DOO GRO MEGA THICH CONDITIONER to wet hair. Gently massage through hair. Rinse thoroughly. Towel dry hair and style as usual.